Just before COMPUTEX I was invited by industry heavyweight Gigabyte to tour its Nan-ping factory situated just outside Pingjhen City in the north-west of Taiwan. Having never visited a motherboard factory before, and having previously enjoyed my visit to Cooler Master's chassis factory in Huizhou, China, I was keen to see what it took to get a motherboard from a blank printed-circuit board into the finished product available at your preferred e-tailer/retailer. 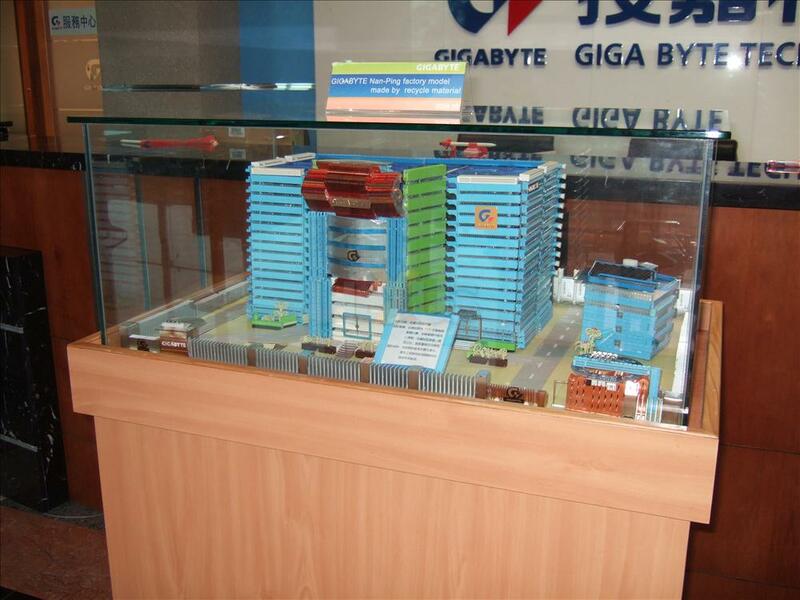 We could have posted a picture of the huge concrete structure that is Gigabyte's factory, but the multi-coloured model is far more interesting - and no, it's not Del Boy's flat within Nelson Mandela house in Only Fools and Horses. This photo-heavy look, we hope, will give you some idea of the working practises in a Taiwanese factory that's designed to churn out millions of products per year.